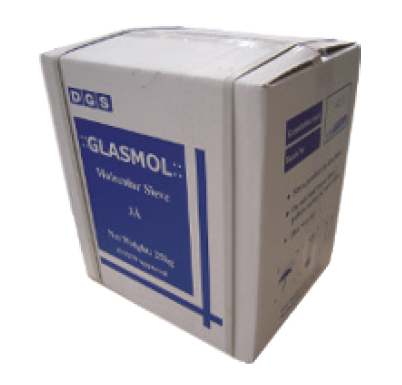 Desiccant Superior Grade Glasmol - DGS Group Plc. Superior Grade Desiccant DGS 3Å Molecular Sieve has been specifically developed for use in insulating glass production. 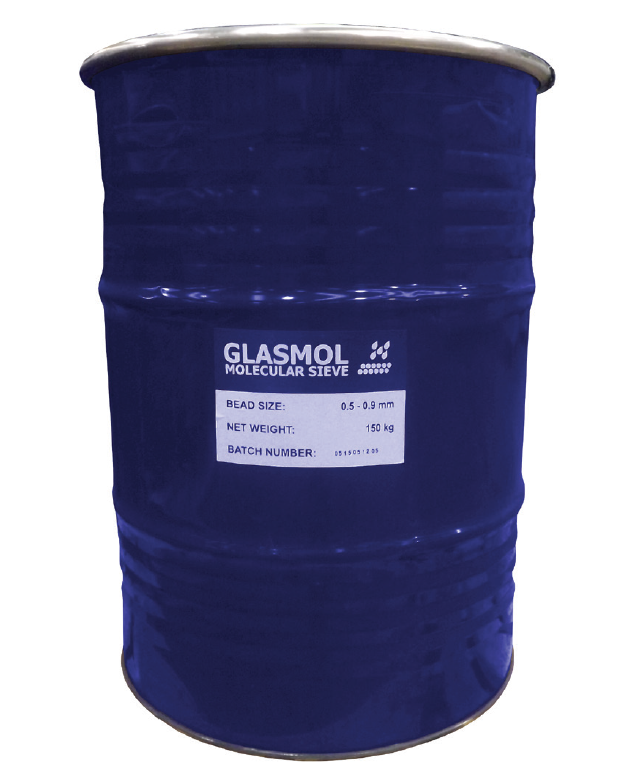 The product is suitable for all gas filling types and solvent free sealant systems. This product is fully compliant with EN 1279-2 and EN 1279- 3 and manufactured to ISO 9001: 2000 quality management systems. Click here to see our desiccant testing kit. Achieves low dew point temperatures over a long period of time to minimise pane deflection and danger of glass breakage. Low gas desorption minimises seal stress and maximises unit life. – Less wasted space as empty drums can be stacked inside each other. – Easy to dispose of. Mini bead desiccant is designed for warm edge bars. As the walls of the bar are thicker this reduces the internal space and means less desiccant will fit in. By using mini bead you are adding more desiccant and therefore prolonging the life of the sealed unit.